Light guards provide light and warmth. 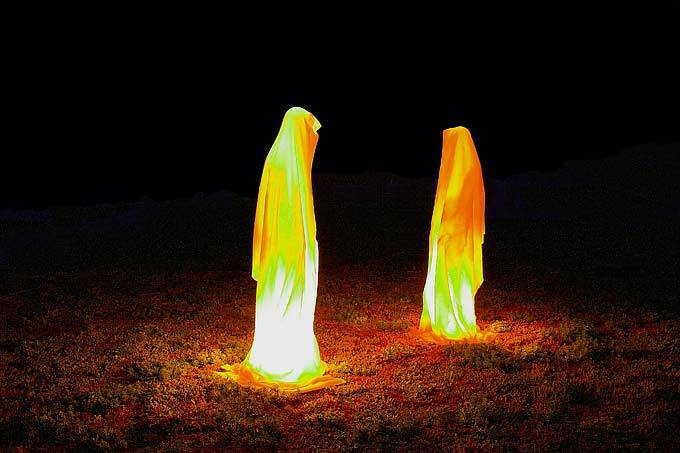 The Austrian artist Kielnhofer created a slightly different Christmas lights. 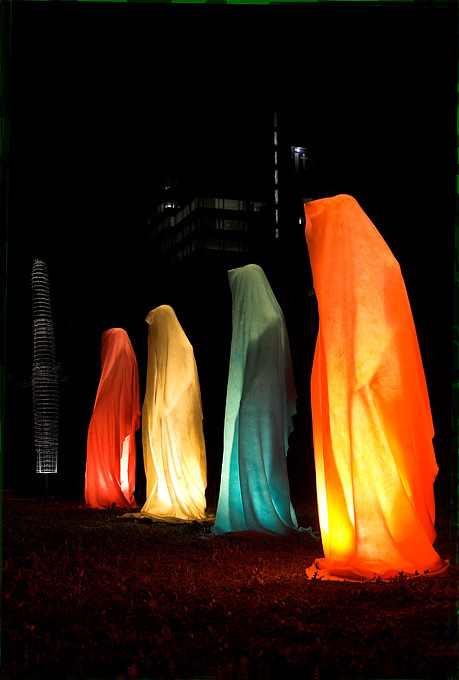 His light sculptures are reminiscent of monks, nuns and / or to the Virgin Mary. The light sculptures are suitable for the lighting of building facades, balconies, parks, etc. The light sculptures can also be used for the inner city balcony. The light guards are very visible, very effectively and ensure, in the dark and cold season for light and heat. 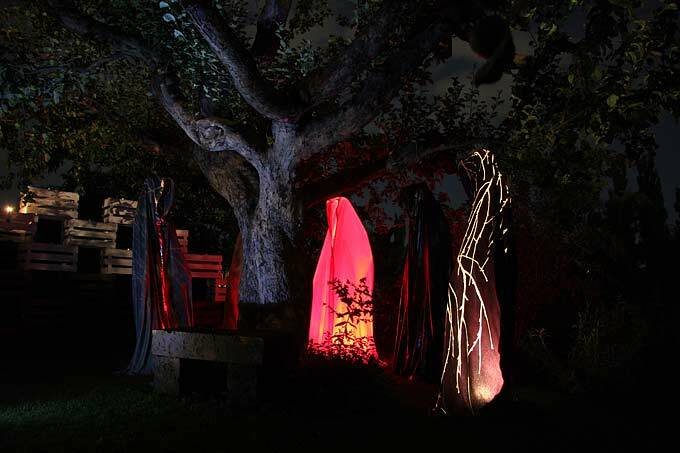 The illuminated art by Manfred Kielnhofer remember much „in introspective“ monks, nuns and / or to the Virgin Mary. The life-sized sculptures are equipped with energy saving lamps 32W and are secured with ratchet straps on the railing. 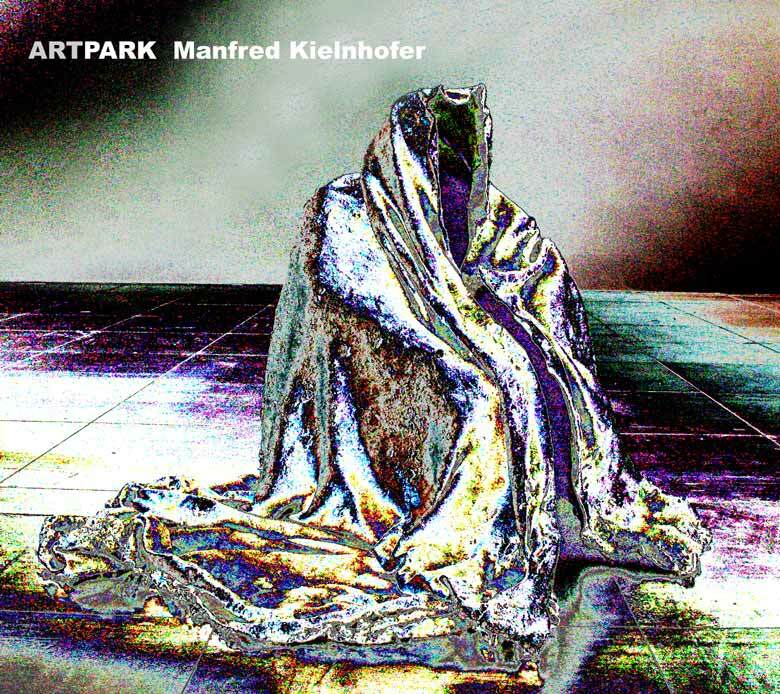 The sculptures are made luminescent and reflective. The artworks are on display in the Weihburggasse at Woka www.woka.com Lamps Vienna and in the castle near Linz Steyregg www.schloss-steyregg.at in a permanent exhibition. Recent exhibitions: LUXURY please Vienna Hofburg Castle Steyregg, Vilnius Art Fair, art fair Berlin Arttower and Cass Sculpture Foundation, UK.